Creating a crime timeline for you case is simple with this crime timeline template. It was made for attorneys who need to present a timeline showing clearly the events and circumstances of their case. The crime timeline template will help you lay out all the key facts of a case in a way that is very simple for any audience to understand. The template can easily be edited or updated in PowerPoint, which creates visuals that are simple to present, share or print. 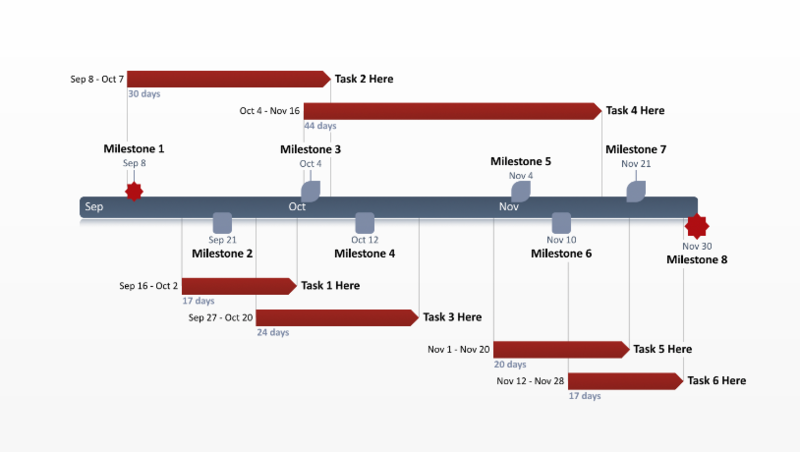 In preparing for trial, the exercise of making a crime timeline visual can help attorneys structure their arguments. 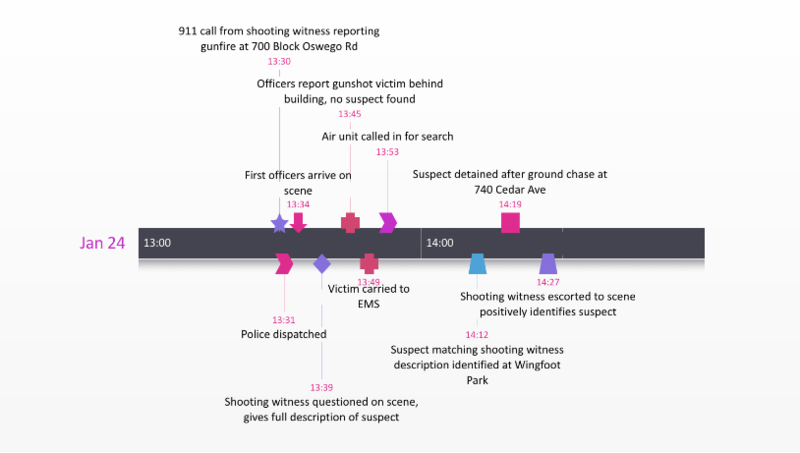 Using this template to construct a compelling timeline visual of a crime gives attorneys the ability analyze events, arrange their case and strengthen their argument. Having a chronological, facts based visual exhibit will significantly increase the juries understanding of your oral argument. The crime template was made natively in PowerPoint which means it is simple to edit, update or change. It is also very easy to share across your legal team or with your clients. You can download it for free and manually enter your case information or you can use the Office Timeline add-in to do this automatically for you. 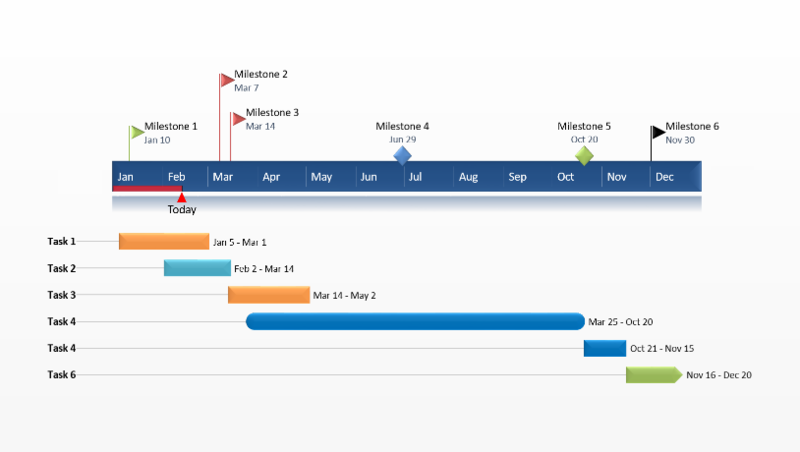 Office Timeline is a PowerPoint timeline maker that helps attorneys create case timelines for litigation, defense trials or mediation. It makes it simple for any lawyer or legal assistant to quickly create a PowerPoint timeline that presents their case evidence and arguments. Office Timeline plugs into PowerPoint so there is little learning curve or ramp-up time required in updating this template or for making a new crime timeline. It gives attorneys the ability to select from a wide variety of colors, shapes and other objects needed to creating impactful crime timelines. Good crime visuals are critical for supporting oral argument but outsourcing the creation of timeline visuals is expensive and time consuming. Building your own case visuals will save time and money. It will also help reinforce how you are going to present and deliver your arguments. 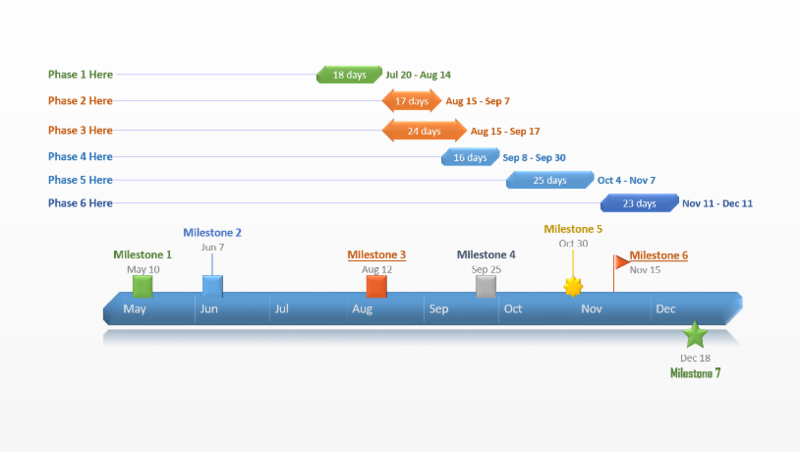 This PowerPoint crime timeline template and Office Timeline now makes the job creating good case visuals, familiar, easy and quick.